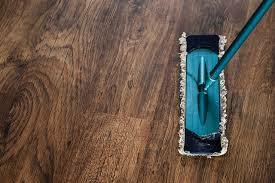 If you believe yourself to be a bit of an obsessive when it comes to deep cleaning jobs such as carpet cleaning or stain removal, the following list we’ve put together might be a great help to you. Sometimes our domestic cleaning obsessions can waver to the point where they’re no longer as effective as they once were. In order to cope with this, here are 10 tips that every deep cleaning obsessive needs to know to get back on track. Your Iron is an essential part of maintaining your clothing, so get rid of the gradual build up of sediment on the steel plate by applying some salt and a damp, warm cleaning cloth. If you’ve got some sponges that have been through a few months of use, the best way to kill off any germs that are left is to throw it in the microwave for 2 minutes. You can use an old toothbrush to scrub your sink drain if you’ve also got some citrus fruits and some baking soda. Leave the fruit in the drain and run some warm water, then apply some baking soda and start scrubbing. ALWAYS dust before you vacuum, as any dust on walls and ceilings can fall to the floor and be dealt with during the vacuuming process. Enjoy outdoor exercise? If your water bottle is starting to attract mould, use vinegar to clean it if it’s not safe to clean in a dishwasher. A personal favourite of ours, you can use a sock puppet dipped in vinegar to clean your open blinds. It makes so much sense once you’ve tried it! Is there a dust build-up in your closet or clothing cabinet? You can cut a hole in a cloth and place it over a coat hanger to act as a dust cover. If you’ve run out of lime deposit removers for your dishwasher, try using some Kool-Aid if you can get hold of some! It’s capable of dealing with both lime deposits and iron stains. Sticky residue often leads to cleaning products causing more of a mess than anything else. A mixture of baking soda and coconut oil is a great, non-chemical solution that gets the job done. Instead of keeping your indoor brooms on the floor, hang them up in a closet so they don’t bend and go out of shape. If you require specialist deep cleaning services for your domestic or commercial property, from upholstery cleaning to in-situ curtain cleaning, get in touch today. We’d love to hear from you.